Traveling in China is exciting and now offers more flexibility, especially if you organise group traveling. Whether your preference is for first class travel, super-deluxe package tours or budget travel, China can provide something for your taste. 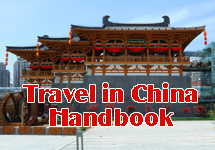 Group travel is the easiest way to travel in China in comfort and without costing too much. With the right deal, your itinerary, hotel accommodation and meals, and sightseeing tours will be booked in advance by the travel agency, whose price will cover the majority of expenses for the trip, allowing you to spend your additional money on shopping and leisure. Your travel agency will be able to arrange a local tour guide to pick you up at the airport and accompany you during your holiday. They will be in charge of guiding you around the scenic spots and tourist attractions of China. If your group contains more than 10 people, there will be a permanent Chinese tour guide allocated to your group as well as the local tour guides who will guide you around the particular sites.